The businesses listed below sponsored Habitat Acquisition Trust in 2016, check out the wonderful ways they've given back to the community below. Black Press' media sponsorship of the HAT 20th Birthday Nature Fundraiser was instrumental in reaching people in our community about conservation, we are grateful for this kind support and exposure. Thank you to Paul McNair of Emporium, for sponsoring the 20th Birthday Nature Fundraiser of HAT with a gorgeous gift basket for the auction. Our gratitude goes out to the folks at Hoyne Brewing Co. for their sponsorship of the 2016 Nature Fundraiser with a donation of delicious brews and Hoyne swag. HAT gives a big thank you to 'Cakes by Krista' for donating a beautiful cake to our 2016 fundraiser and gala! A big thanks to 'Picot' for generously sponsoring our 2016 fundraising gala by donating an assortment of their wonderful products! Thank you to 'Slightly Ajar' for contributing some of their gorgeous handmade jewelry to HAT's 2016 fundraiser and gala! Also thanks to 'Libellula Jewelry' for donating some of their beautiful creations to HAT's 2016 fundraiser and gala! HAT would like to thank 'Hemp and Company' for contributing an outfit, featuring HAT's 20th Anniversary logo, to our 2016 fundraiser and gala! 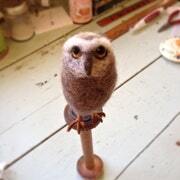 A big thank you to 'Farmlass' for contributing a life-sized wool Western Screech Owl sculpture to our 2016 fundraiser and gala! A huge thank-you to 'Birds Be Safe' for donating cat collar covers to our auction for our 2016 gala! HAT would like to thank 'Clipper Vacations' for contributing 2 round-trip tickets from Victoria to Seattle for our 2016 fundraiser and gala! A big thank-you to 'TYAK Kyak' for donating a 1/2 day sea kayak tour for two to our 2016 fundraiser and gala! HAT would like to thank 'Saanich Organics' for generously donating a delicious Winter Abundance box to our 2016 fundraiser and gala! A huge thanks to 'Katherine Woods Soapstone Carving' for donating some beautiful sculptures to our 2016 fundraiser and gala! HAT gives a big thank-you to Nathan Birch for contributing a wonderful acrylic painting to our 2016 fundraiser and gala! Thank you to 'Hey Happy Coffee' for donating the gift of several free drinks to our 2016 fundraiser and gala! HAT would like to thank 'Kodo Collection' for donating a wonderful assortment of products to our 2016 fundraiser and gala! 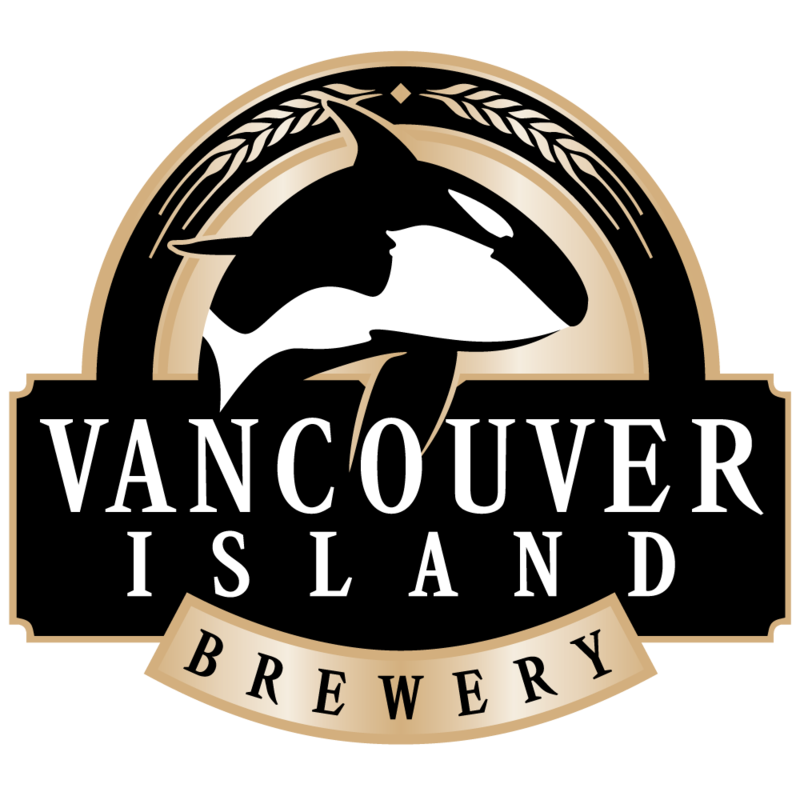 A big thanks to 'Vancouver Island Brewery' for contributing some of their lovely merchandise to our 2016 fundraiser and gala! Thank you to 'Art Box Printing' for donating a gift certificate to HAT's 2016 fundraiser and gala! A big thanks to 'Sarah Leckie Ceramics' for donating some pieces to our 2016 fundraiser and gala! HAT would like to thank 'The Wren House' for contributing a beautiful handmade pillow to our 2016 fundraiser and gala! HAT would like to say a huge thank you to 'The Metchosin Foundation' for their guidance and support during our 2016 fundraiser and gala! A huge thank you from everyone at HAT to 'Glenrosa Farm Restaurant' for hosting our 2016 fundraiser and gala! You provided us with a fantastic venue. A big thanks to 'Nature's Chef' for the amazing catering job at HAT's 2016 fundraiser and gala! Also thank you for the discounted rate. Your food is amazing! Also thank you to 'CFUV' for supplying the sound equipment for our 2016 fundraiser and gala! Another huge thank you to 'De Vine Vinyards' for donating white and red wine bottles to serve at HAT's 2016 fundraiser and gala! Also thank you to 'Sea Cider' for donating a variety of your ciders to serve at HAT's 2016 fundraiser and gala! HAT would like to thank 'Seaflora Skincare Inc.' for contributing an assortment of products to our 2016 fundraiser and gala! Thank you to 'Moksha Yoga Victoria' for contributing a one month membership and drinking jar to HAT's 2016 fundraiser and gala! A big thank you to 'Pina' for contributing a lovely species print crew neck sweater and a whale print canvas bag to HAT's 2016 fundraiser and gala! HAT would like to thank 'Bolen Books' for contributing the book 'Bee Time' as well as a $10 gift card to our 2016 fundraiser and gala! Thank you to the 'Republic of Vancouver Island' for contributing water bottles, t-shirts, and stickers to HAT's 2016 fundraiser and gala! A big thank you to 'TNT Paintball' for contributing a paintball session for six people to HAT's 2016 fundraiser and gala! 'The Market on Yates' has generously contributed to HAT's 20th birthday fundraiser and gala by donating a gift basket! Thank you! 'Float House' has generously contributed to HAT's 20th Birthday fundraiser and gala by donating 5 gift certificates for single floats! Thank you 'Float House Victoria' for the support! HAT would like to thank 'Horticulture Centre of the Pacific' for contributing to and supporting our 2016 fundraiser and gala with their generous gift of a membership for two to the HCP! A huge thank you to 'The Good Planet Co.' for generously contributing toward HAT's 20th birthday fundraiser and gala! You have generously donated three luxurious natural soaps,abeego reusable food wrap, Good Planet room spray, reusable produce bags, laundry soap, a beeswax candle, water bottle, and basket! Saanich Native Plants supported HAT as the top sponsor for the annual Native Plant Garden Tour, and continues to spread knowledge and naturescaping through their seed donations to our outreach programs. Thank you Michael Brinsmead for contributing to HAT's 20th birthday fundraiser and gala! Your generous certificate to HAT is greatly appreciated! Thank you 'Purdy's' for contributing to HAT's 20th Birthday fundraiser and gala with your generous 'Grand Expressions Gift Basket'! Thank you 'Arrow Creative' for contributing to and supporting HAT's 20th birthday fundraiser and gala! Special thank you for your marvelous donation of a 5 hour social media consulting, including a review of current social media platforms, a needs assessment, and strategy suggestions!! A big thanks to 'Royal Canadian Marine Search and Rescue' for supporting HAT's 20th birthday fundraiser and gala! In addition, we would also like to thank you for your generous donation of a 1 hour search and rescue simulator experience! Thank you, 'Seeds of Change,' for sponsoring HAT's 20th birthday fundraiser, and for your generous donation of a product gift basket! Thank you for sponsoring HAT's 20th birthday fundraiser and gala! Special thanks for donating 1 hour Family Photography session for 2-4 people for 20 digital images! Thank you, 'Hike Victoria,' for sponsoring HAT's 20th birthday fundraiser and gala! A special thank you to Mark Vukobrat for donating a gift certificate for 2 for a hiking tour to the Top of Gowlland Tod Park, as well as photographs for the silent auction! Marsha generously sponsored HAT's 20th birthday fundraiser gala by donating some of her beautiful local artwork for our auction. Thank you to 'Sapphire Day Spa,' who contributed to HAT's 2016 gala fundraiser with their generous gift of a spa relaxation treatment for our auction! In support of HAT's 20th birthday gala fundraiser, 'Boreal Folk Apothecary' kindly donated some of their hand-crafted soaps for our auction! Thank you! 'Hermann Woodworkin'g supported HAT's 2016 gala auction by donating many beautiful handcrafted pieces. Thank you! 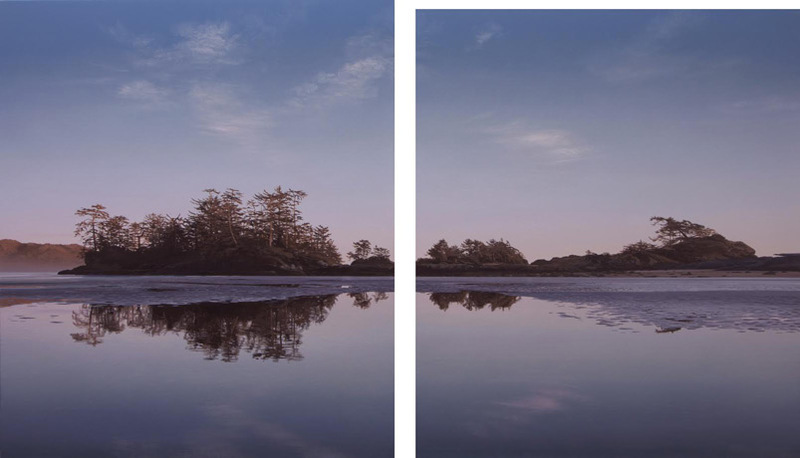 In support of our 2016 gala, the 'Robert Bateman Cente'r generously donated to our auction and helped with fundraising. Thank you 'Robert Bateman Center' for all your help and support! A big thanks to the 'Royal BC Museum,' who generously sponsored HAT's 20th birthday gala fundraiser by donating to our auction! 'The Belfry Theatre' contributed to HAT's 2016 gala fundraiser by donating gifts to our auction. Thank you to "The Belfry Theatre'! Habit Coffe generously sponsored HAT's 20th birthday fundraising gala by donating to our auction. Thank you 'Habit Coffee'!! Subway supported HAT's 2016 gala fundraiser by donating gifts for our auction. Thank you 'Subway'! During the Sooke Good Neighbours program, The Stick sponsored our volunteer Beach Clean-up and Restoration Day at French Beach. A partnership keeping our community energized and natural! 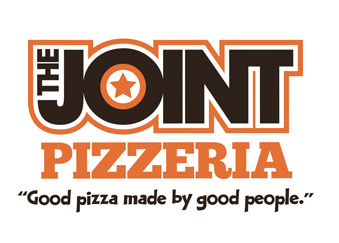 The Joint contributes to HAT by nourishing the people that volunteer their time towards sharing the joys and importance of native species with our communities. 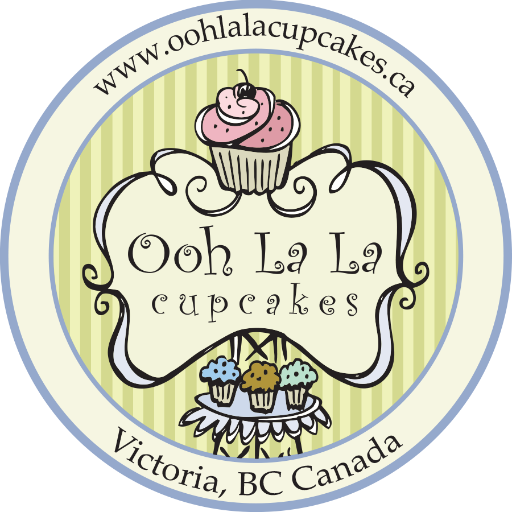 Ooh La La sponsored the first annual Matson Conservation Area Spring Fling with their sweet treats and a sweet treat to nature. Caffe Fantastico has been a fantastic partner, fueling conservation of the Matson Lands with donations of their coffee. Working with the Stelly's High School to restore Oak Haven Park, Breadstuffs restored our stamina with wholesome lunch donations. Pilgrim's coffee sponsorship helped fuel the removal of inavise plants from Ruby Creek, an important riparian protected area. Thanks to Dagwood's coffee sponsorship our volunteers were equipped to protect the diversity of species at Camas Hill conservation covenant. Spinnakers appreciates the dedicated work done by volunteers to keep our region natural with beer sponsorship for the Matson Pull & Pour. Keeping our region lush and natural, Fraser's Thimble Farms is a Bronze supporter of the annual Native Plant Garden Tour. When it comes to gardening for wildlife Streamside Native Plants is a big supporte; a Silver Level supporter of the annual Native Plant Garden Tour. Home to at risk Western Painted Turtles, Swan Lake shares in our passion for protecting local wildlife as a Bronze support of the annual Native Plant Garden Tour. Supporting our programs to engage South Vancouver Island with gardening for wildlife, NALT Nursery is a Bronze sponsor of the annual Native Plant Garden Tour. Getting people in touch with nature through taste, Edible Landscapes Design supports the Native Plant Garden Tour with a Bronze sponsorship. Keeping our soils healthy and our communities in the know about native plant gardening, Speedibin is a Bronze level sponsor of the annual Garden Tour. Garnett supports HAT to protect and conserve our region's natural capital. Great Pacific Mortgage and Investments Ltd.
Great Pacific invests nature for future generations of wildlife and people through HAT's programs. Investors Group's contributions and Matching Gift Program make it possible for the HAT community to keeping investing our time and energy into protecting nature. Gye & Associates' donations mean that Habitat Stewards have the support they need to tend the urban forest that gives life to our region. BC Transit's employee giving program helps us protect the ecosystems that keep us all runnning smoothly. The Kerr Group Management Corp. The Kerr Management Group supports HAT through the Bat Habitat Stewardship Program. Inlingua Victoria hosted a fundraiser in support of HAT by hosting a potluck.